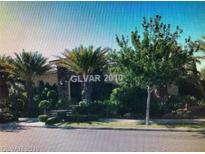 Below you can view all the homes for sale in the Star Canyon Summerlin subdivision located in Las Vegas Nevada. Listings in Star Canyon Summerlin are updated daily from data we receive from the Las Vegas multiple listing service. To learn more about any of these homes or to receive custom notifications when a new property is listed for sale in Star Canyon Summerlin, give us a call at 702-930-8014. Located in the coveted Bellacere community,this stunning home has all the amenities of a personal oasis.2 casitas to be utilized as office or exercise rms,2 master suites,dwnstrs&up,basement w/game,media&wine rms.Gorgeous travertine flooring inside&out.Outside offers equally desirable amenities,including 2 BBQ’s,fire pit+fire wall.Front of home features a beautiful waterfall w/fountains in back along w/salt water pool complete w/exercise jets. MLS#2087183. BHHS Nevada Properties. Built-ins/storage throughout, full bar, breakfast nook, lots of windows, bright and open, beautiful backyard, outdoor fireplace in courtyard, pristine condition! MLS#2079854. BHHS Nevada Properties. The pool/spa are adorned by full landscaping. MLS#2064899. Coldwell Banker Premier. From the great design, to the 24’ ceilings, chef inspired wolf kitchen, 1300 bottle wine cellar, movie theater, resort style backyard, and flawless Crestron home automation system, this home doesn’t disappoint MLS#2062044. New Door Residential. Home showcases a grand entrance, theater room, stunning interior design, stacked stone throughout, large master &closet. MLS#2019058. BHHS Nevada Properties.